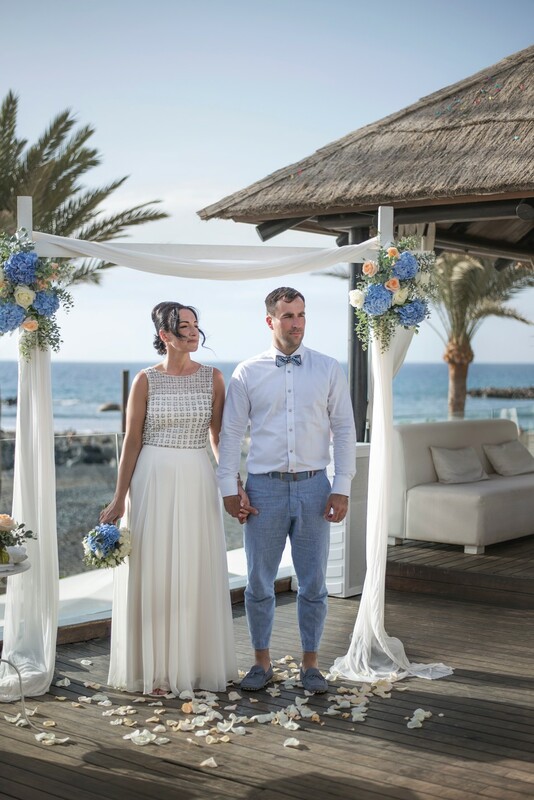 The ceremony takes place on a picturesque terrace with stunning sea views that is perfect for up to 20-25 people. 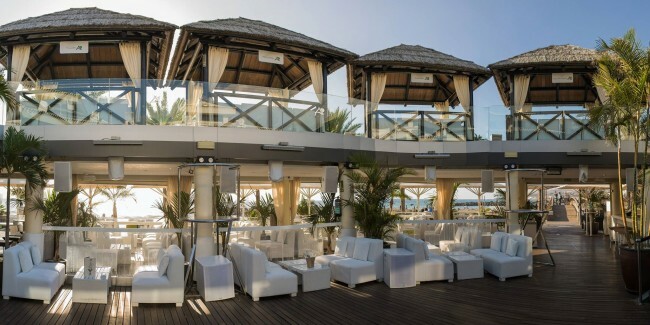 Afterwards, the dinner will continue in the beach club’s restaurant with sea views. 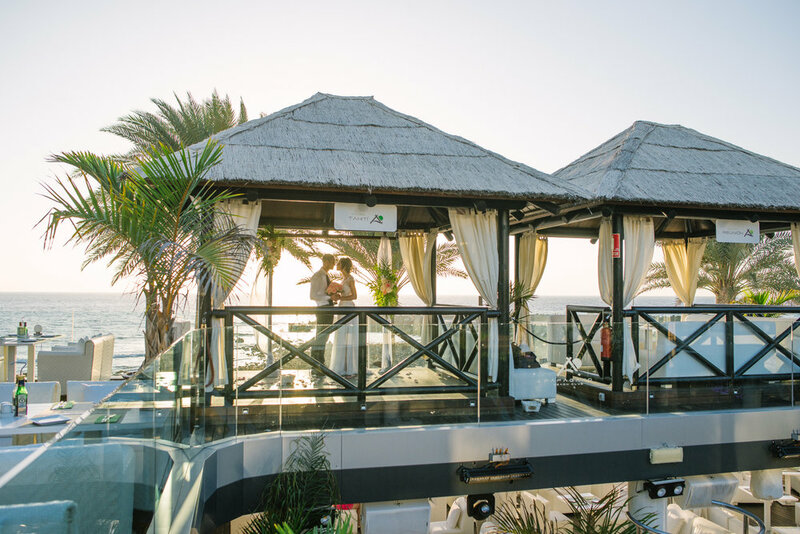 Small weddings (up to 4-6 people) normally take place in one of sea front cabana’s (as in the main picture), followed by the dinner there. Absolutely the best place to enjoy amazing sunsets! Please note that during the weekends, there is a live DJ party in the venue from about 11pm. - great for those who want to continue the party all night long. Other days of the week, the venue is perfect for a relaxed chill out time with a lounge vibe. Capacity: 2 - 100+ guests. However, we highly recommend this venue for medium size groups groups up to 25 people. 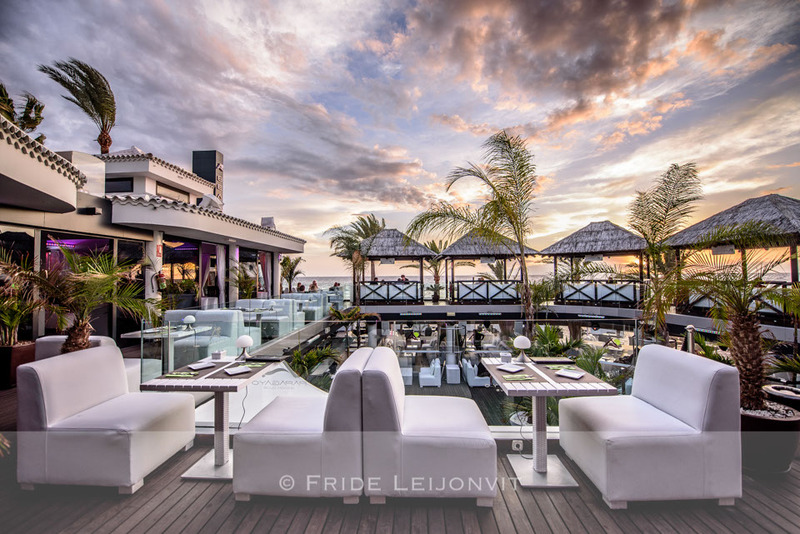 Located in Playa de Las Americas area, the very heart of Tenerife. Wedding menus can be combined yourself and must be pre-ordered at least 3 days before the wedding. Price starts from about 25-30 euros per person. There is a requirement of a minimum of 300€ to be spent in the venue on food and drinks. Afterparty can be continued in the venue for an unlimited amount of time, VIP area and tables available. 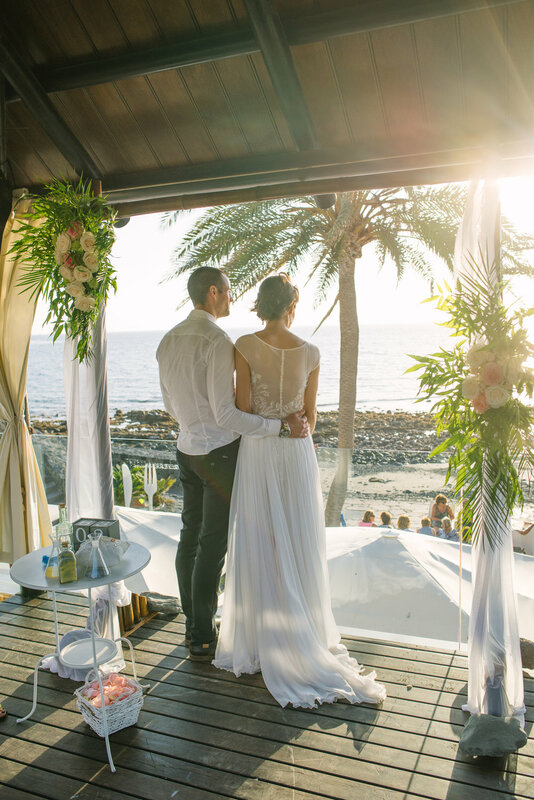 Smalled weddings normally takes place in one of sea front cabanas as in the picture.